Polymer bitumen roll roofing fiberglass material and polyester for the overlapped (panels) and roofing repairs. A wide range of upper and lower layers of choice. For underwear layers of roofing, foundation and other building structures waterproofing. Sticky hot bitumen mastic. 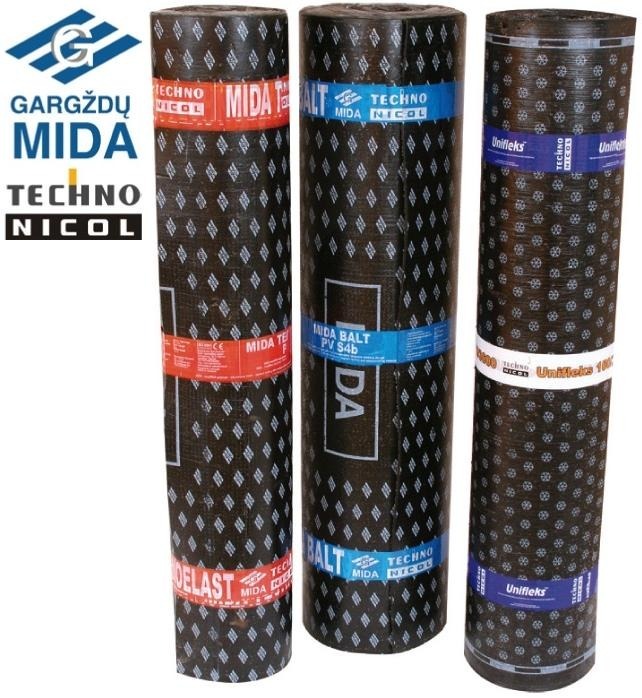 Roll 15m x 1,0m. Pergamin is for lower layers. Roll 1,0m x 20 m, 20m2.